Win - GULLICKSON (4-2). Loss - DOLLAR (2-3). Save - None. SARRATT (LYDA). PB - WINGO(5). bunt. HORTON grounded out to 2b; LYDA advanced to third. COMBS lined out to rf. 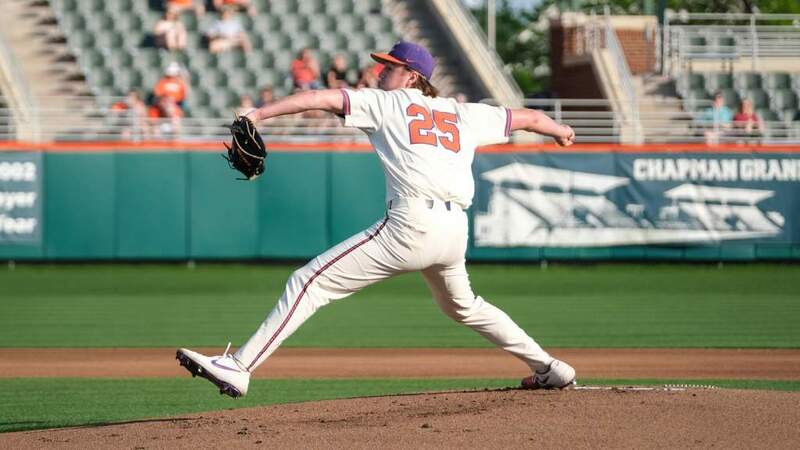 Clemson 1st - FREEMAN lined out to 3b. SCHAUS singled up the middle. to left center, out at second lf to ss to 2b; CARLSON advanced to third. reached on a fielder's choice to third base; BOLCHOZ out at second 3b to 2b. 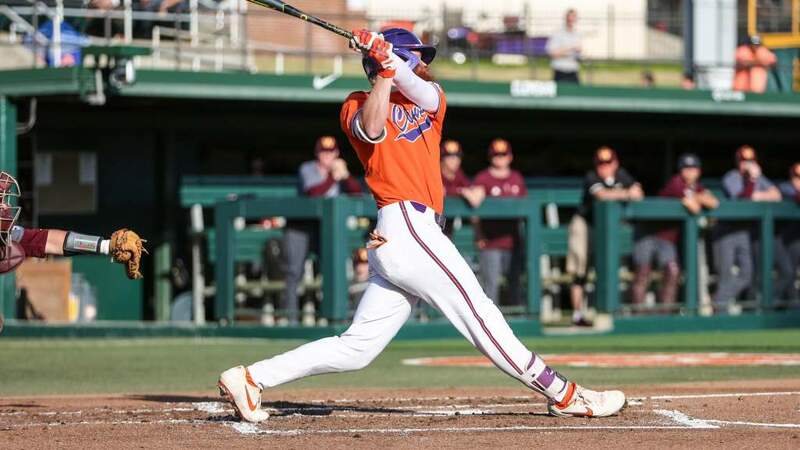 Clemson 2nd - SCHAUS doubled down the rf line. BOYD struck out swinging. field. 2 runs, 3 hits, 0 errors, 2 LOB. singled up the middle; CARLSON advanced to second. GULLICKSON to p for ROTHLIN. HENRY grounded out to ss. 2 runs, 3 hits, 0 errors, 2 LOB. up to ss. FREEMAN grounded out to 2b. 0 runs, 0 hits, 0 errors, 1 LOB. advanced to second on a passed ball; SCHAUS advanced to third on a passed ball. play. 0 runs, 2 hits, 0 errors, 2 LOB. Clemson 8th - NESTER singled through the left side. NESTER stole second. scored. BURGESS struck out swinging. 1 run, 1 hit, 0 errors, 1 LOB. Presbyterian 9th - SARRATT to p for HARMAN. HARMON grounded out to 2b. throwing error by ss; HENRY advanced to third on the error. LYDA hit by pitch. ANDERS struck out swinging. 0 runs, 2 hits, 1 error, 3 LOB.